#AppleEvent has finally concluded and we have lots of new devices to talk about. The 3 All new iPhones including iPhone Xr, iPhone Xs and iPhone Xs Max. Beside this Apple also introduced there all new Series 4 Apple Watch as well. Like always when the new iPhones are announced, The developers at Apple mostly release the upcoming iOS version as well. This time its the iOS 12 which is available for public on the 17th of March 2018. But we have already got the Direct download link to the iOS 12 GM ipsw. 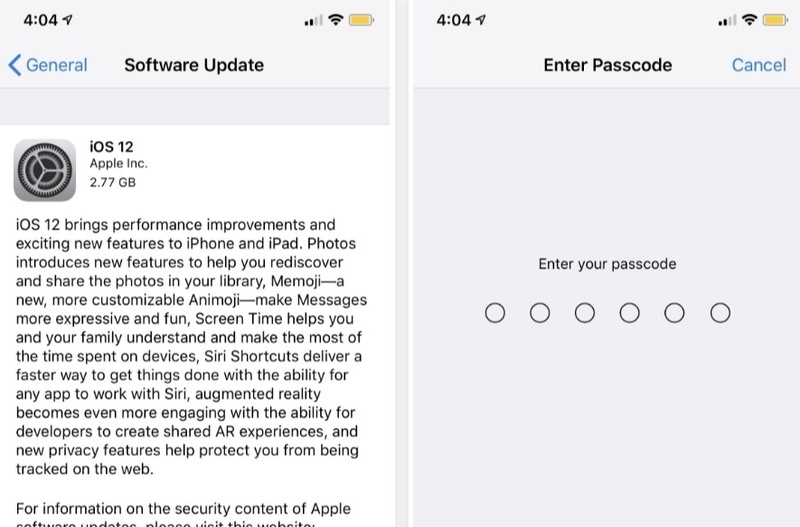 The iOS 12 Build 16A366 Gold Master version is the final version of the firmware which is released for the iOS Beta developers or Public Beta. So if you want to experience the new iOS on your iPhone, iPod or iPad, You can download the iOS12 GM the iOS 12.0(16A366) from the given links below and install it on your devices. It’s a huge update with average ipsw file size of over 2.5 GB. If you are already on the Beta role. You won’t need to download the GM version from here. All you have to do is jump to Settings > General > Software Update. Once you are there, you will find the iOS 12 final version update. Despite using the iOS 12 Beta 12 firmware on one of my testing iPhone 7 Plus. I still got the iOS 12 GM update on my device with the huge file size of 2.95GB. So all the 64GB variant iPhone users, make sure that you have some most needed empty space on your device to get this downloaded and installed on your iPhone properly. All you have to do is download the files on your PC or Mac. Make sure that you are downloading the correct version of file from the given Direct Download Links of iOS 12 GM. That’s it. Hope you will enjoy the new iOS 12 on your iPhone, iPad or iPod Touch devices.